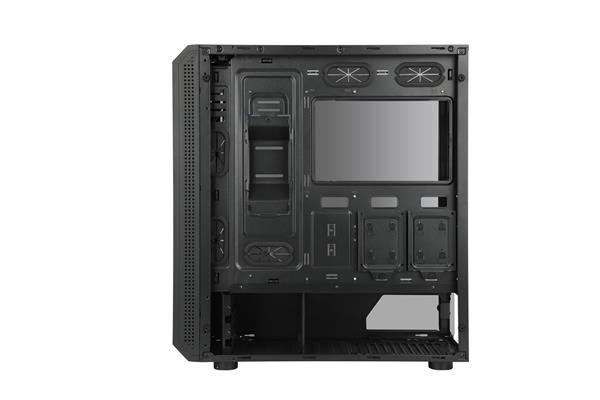 X2 is pleased to introduce the official release of the BLAZE series tempered glass PC enclosure. 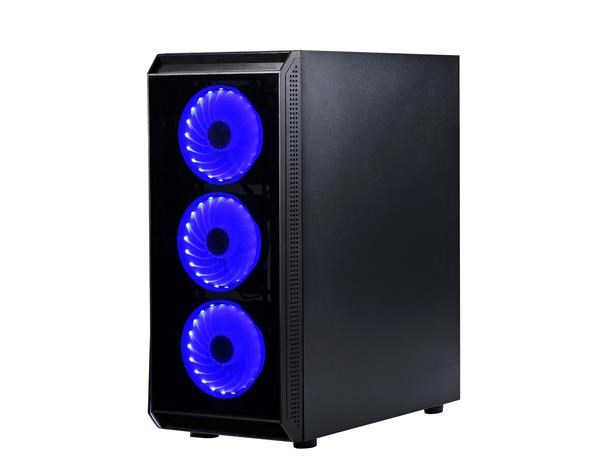 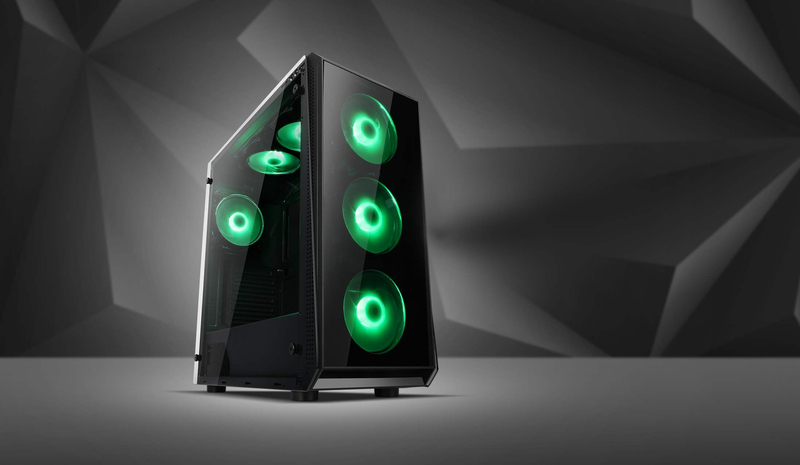 This new PC gamer case is built out of a metal chassis with tempered glass front and side panels. 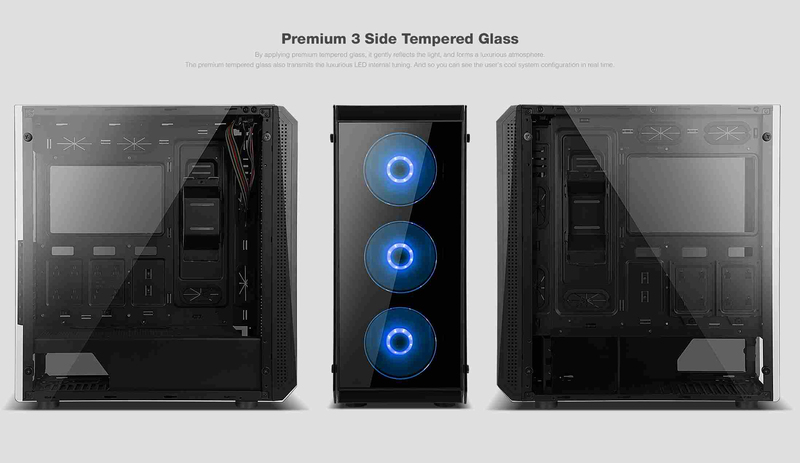 The BLAZE II comes with front and left side panel made out of smoked tempered glass. 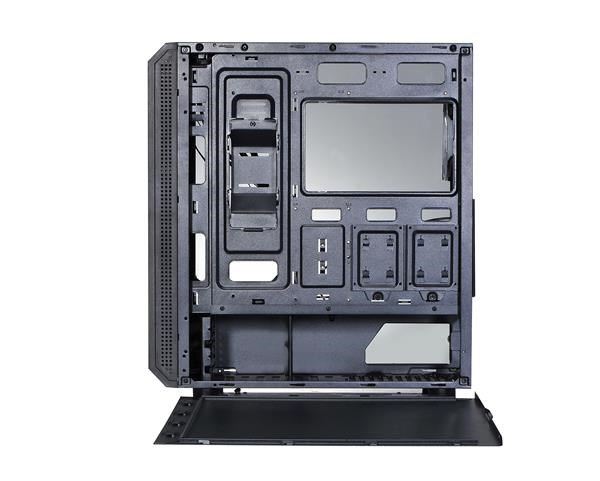 The Right side, top en bottom panels are made out of metal. 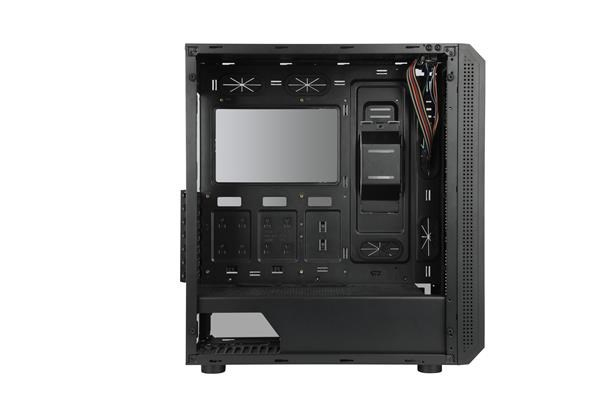 Enough room for the installation of your hardware components. 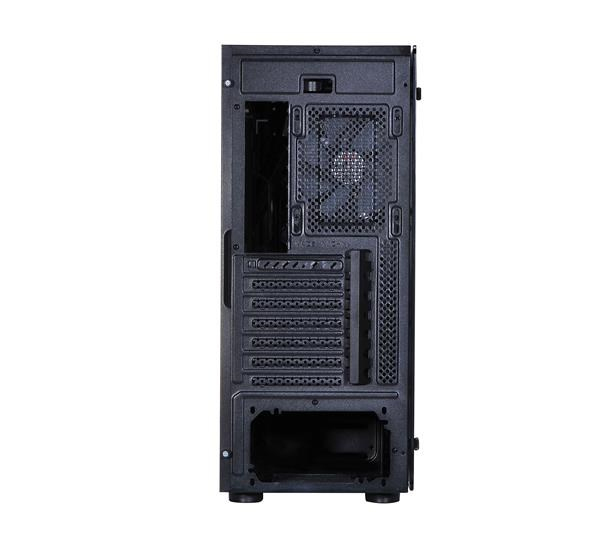 Up to 2x HDD, 3x SSD drives and 7 PCI expansion slots for the installation of long graphics cards ( up to 380mm length VGA card ) large CPU cooler ( up to 162mm height clearance). 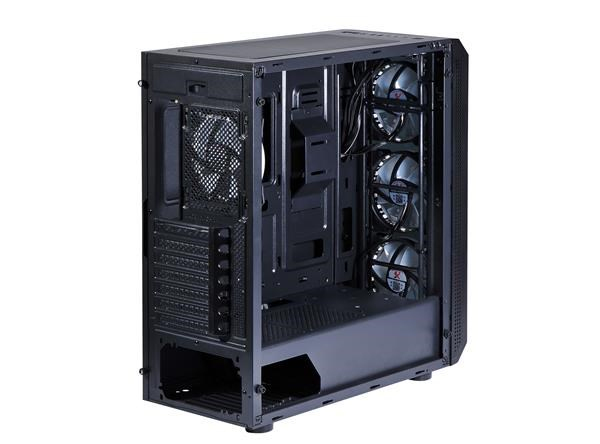 Sufficient air-cooling through the 8x 120mm fan mount locations throughout this enclosure. 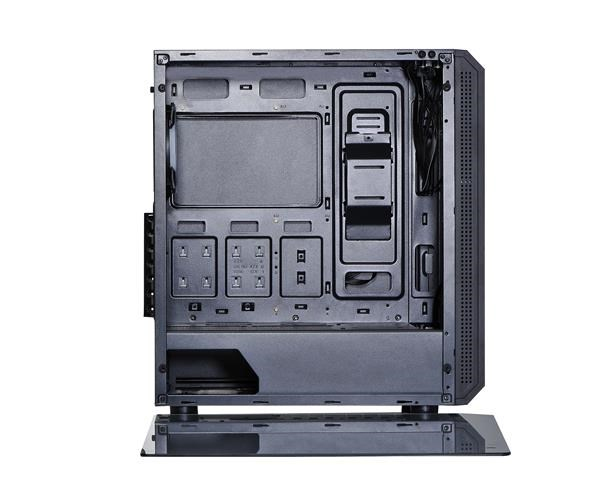 The BLAZE II offers easy upkeep like tool-free removal of the glass side and front panels. 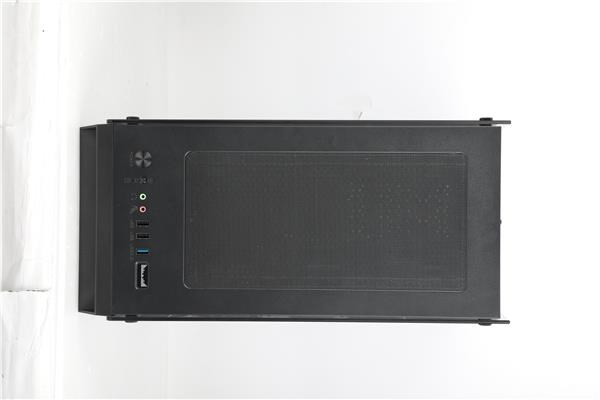 Considerable options for gaming peripheral connections through the USB2.0 and USB3.0 ports and HD Audio jacks. 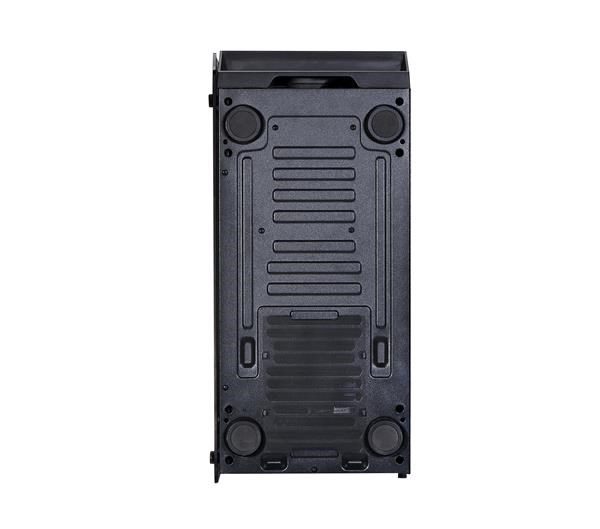 The chassis is constructed out of 0.50mm SPCC all black coated steel and facilitates neat cable routing through the 7x pockets throughout the structure. 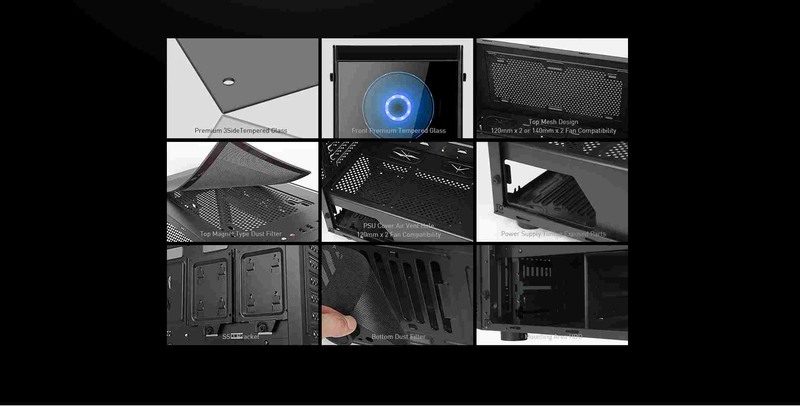 Good system airflow due to the top and bottom air intake pockets covered with removeable and washable dust filter on the top and bottom. 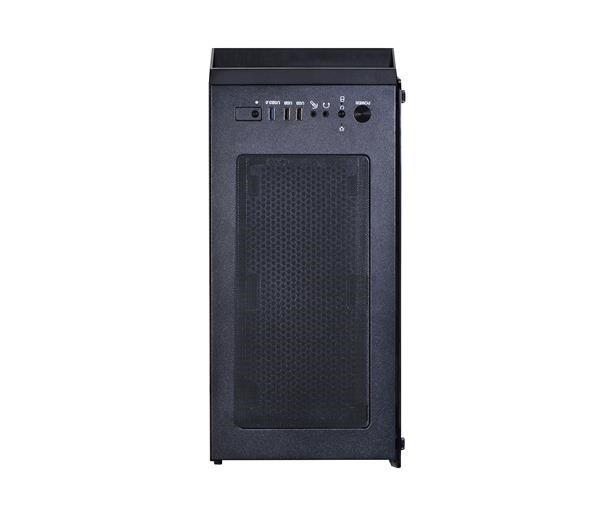 The power supply unit is distant and enclosed on the bottom of this structure . 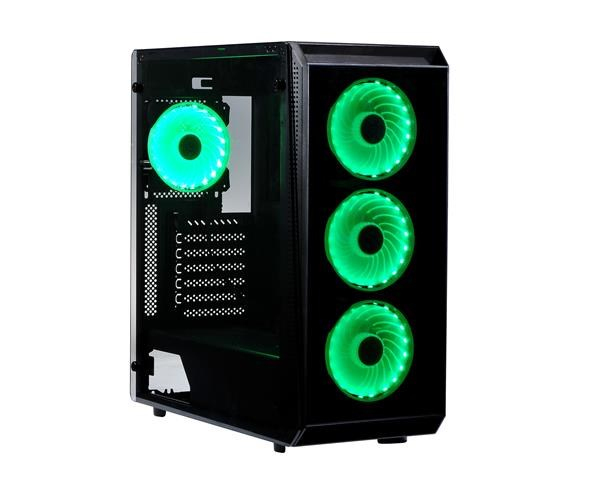 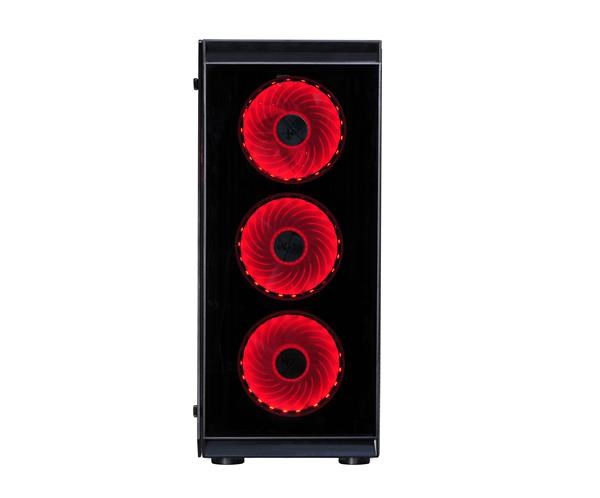 Display your PC hardware, RGB & AURA lights and water or air coolers through the tempered glass window side and front panel. 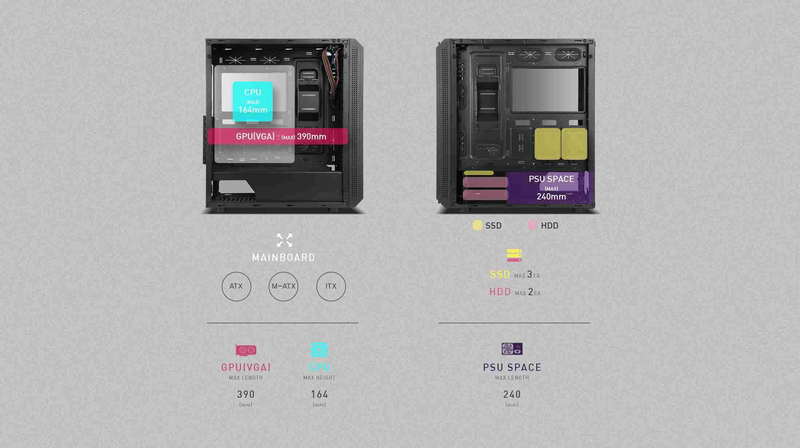 X2 believes in exceptional style at affordable pricing - All geared up!